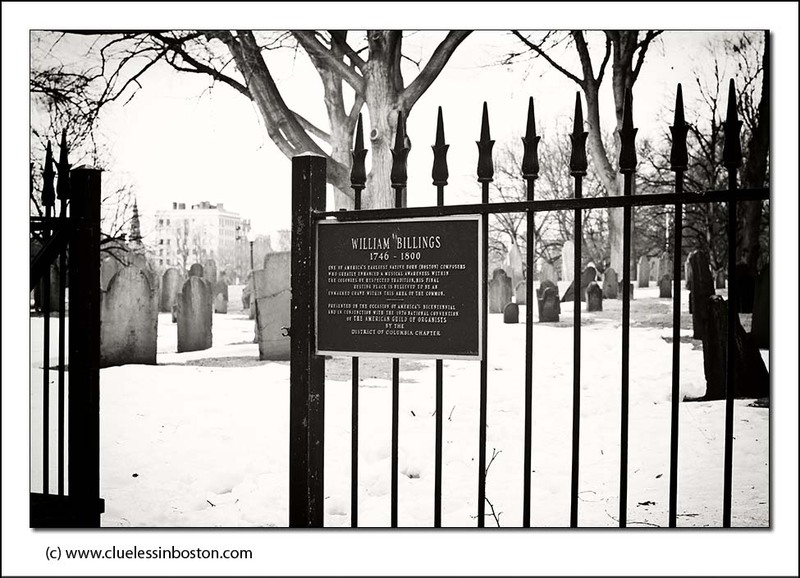 View of the Central Burying Ground on Boston Common, established in 1754. A sign near this gate says no dogs allowed, but I for one would like to have dogs running around and having fun near where I'm buried. 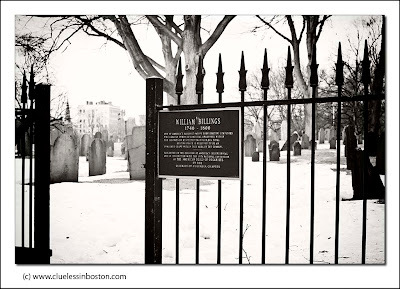 The sign at the entrance gate here is for William Billings, a Boston born composer considered the father of American Choral music who is thought to be buried here in an unmarked grave. Nice capture with the gate cracked open and snow on the ground. It makes you wonder if you dare to enter. US cemeteries are so different from french ones, especially here in south where ours look like italian ones!Your places are welcoming and invite for strolls, and look more like parks..